Below Deck is a delightful one bedroom ground floor apartment in a Grade II listed Georgian house, which is believed to have been one of a number of 18th Century alms houses and is full of character. Below Deck has been recently decorated to enhance the exposed painted beams, granite fireplace and original Georgian doors and windows. Equipment: Gas CH. Chevalier electric wood burning stove. Electric Cooker. Microwave. Washing Machine. Fridge with ice box. 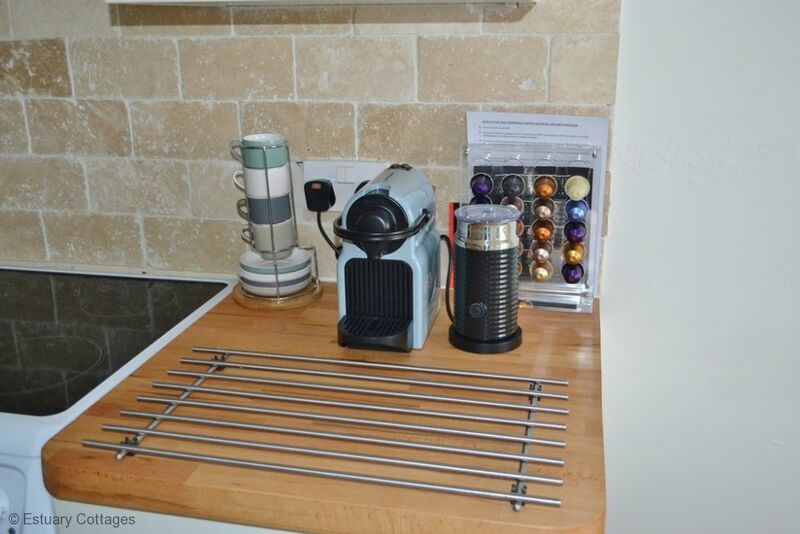 Nespresso Pixie Coffee Maker. Smart TV with Freeview. Music System for iPods & iPhones. WiFi. DVD player. 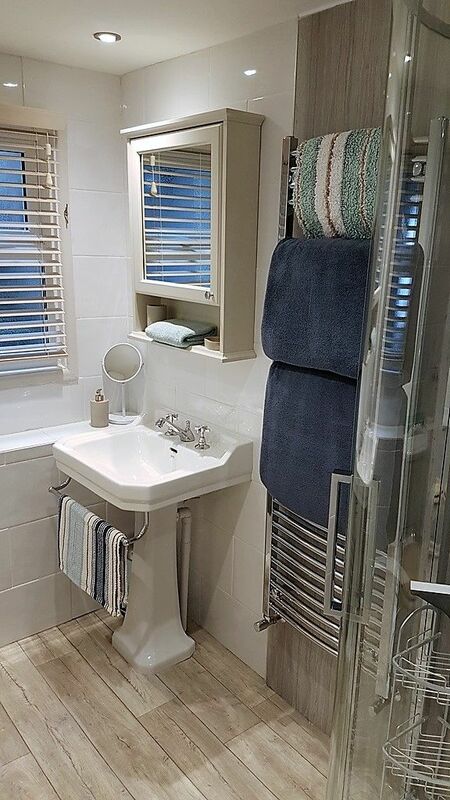 Bed Linen & Towels are provided. Travel cot and booster chair available. Parking space for one car. Infants in a travel cot and children over 12 year of age are welcome. There is an a large double sofa bed which can accommodate an extra two people, should this be required it is at a cost of £40 per week. Please contact our office if you wish to use the sofa bed. 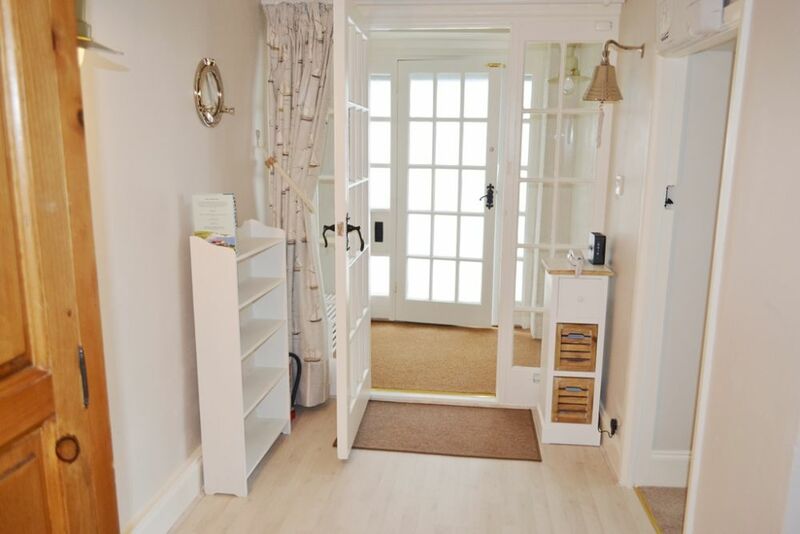 Access to Below Deck is at ground level with it's own entrance, porch and large hallway. The living room features a decorative granite fireplace with Chevalier electric coal effect fire, Smart TV, music system for iPods and iPhones and a DVD Player. A trunk contains a selection of books, games, CD's and DVD's. 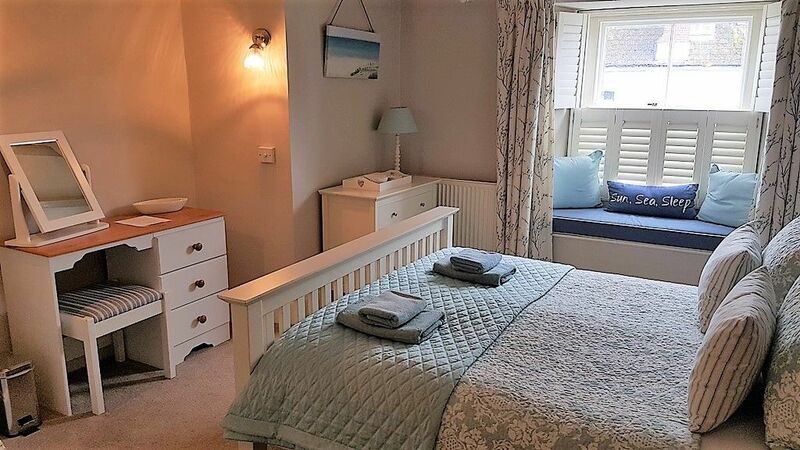 The apartment is ideal for two people, although extra guests can be accommodated on a three seat leather sofa bed with a large double and comfortable deep sprung mattress (at an additional charge) and a four seat dining table. 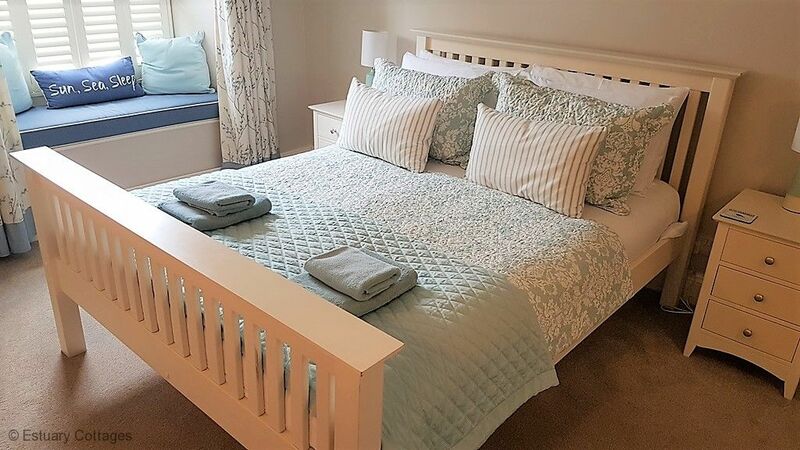 A highchair and travel cot ( bedding not supplied) are provided for parents wishing to bring babies and the sofa bed is ideal for older children who can stay up with the adults until bedtime. 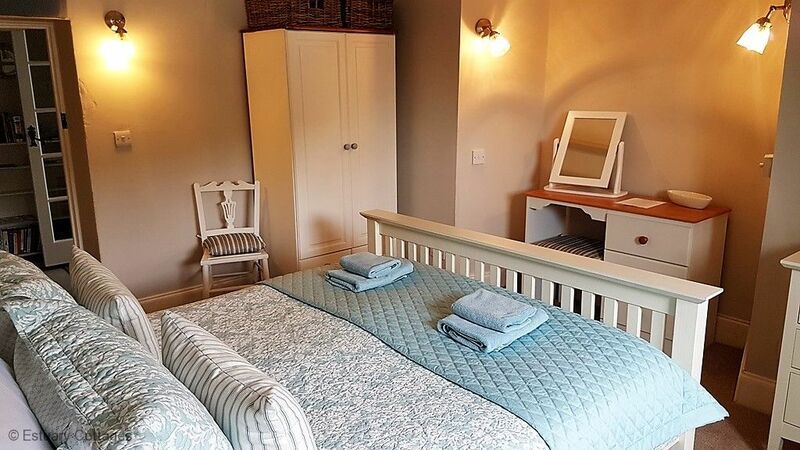 The bedroom is light and airy with a king size bed and sumptuous deep sprung mattress, Egyptian cotton bedding and plenty of storage and hanging space. 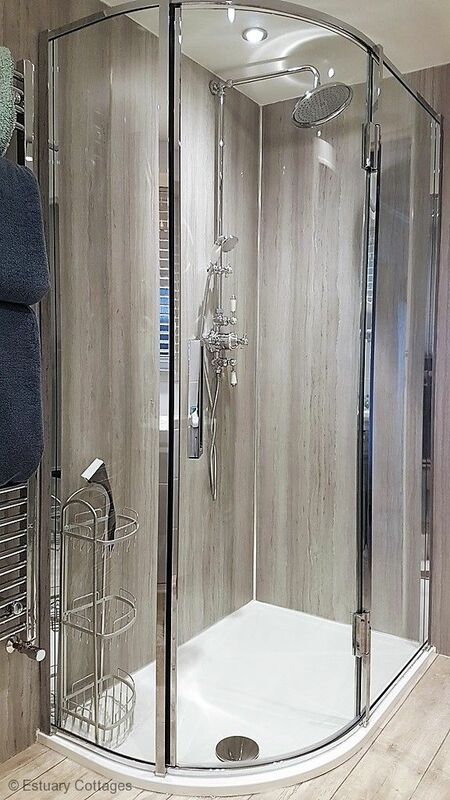 There is a rainfall shower in the bathroom, including sink and WC and heated towel rail. 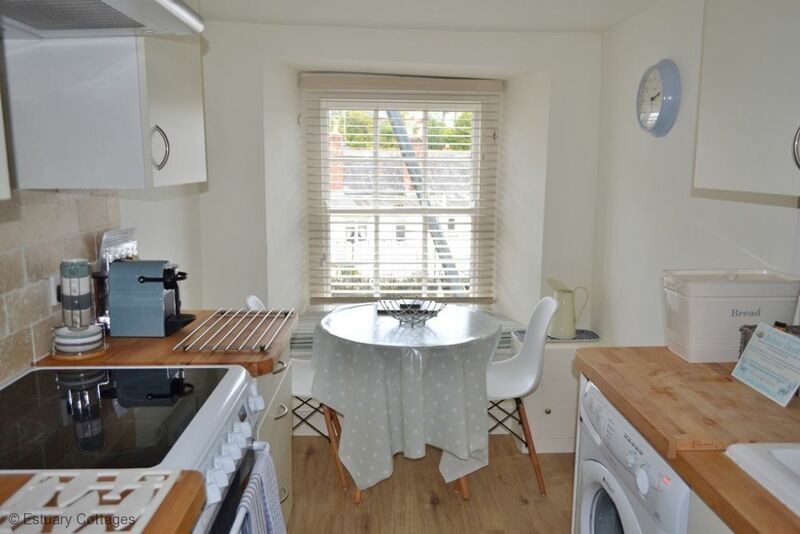 The separate, well equipped kitchen has a breakfast table and leads via a covered passageway to the lovely secluded terrace ( shared with one other holiday home with privacy screening) perfect for relaxing over coffee, lunch, or a glass of wine whilst enjoying the lovely views of Place House, Fimbarrus Church and tantalising glimpses of the Estuary. Guests benefit from off road parking and a two minute stroll down the hill to the excellent shops, restaurants and the bustling harbour and waterside of Fowey, there is a bus stop at the front of the house serving Par Station (15 minutes away) with excellent travel connections to Newquay, Exeter, Bristol and London Paddington. 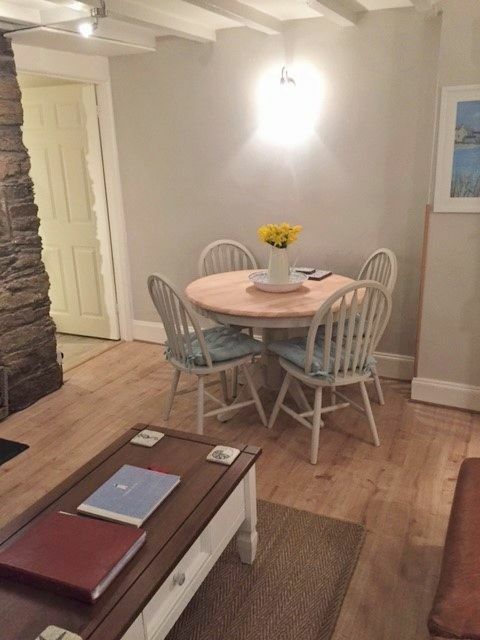 We have just spent an excellent weekend at Below Deck, the attention to detail in this cottage is second to none. 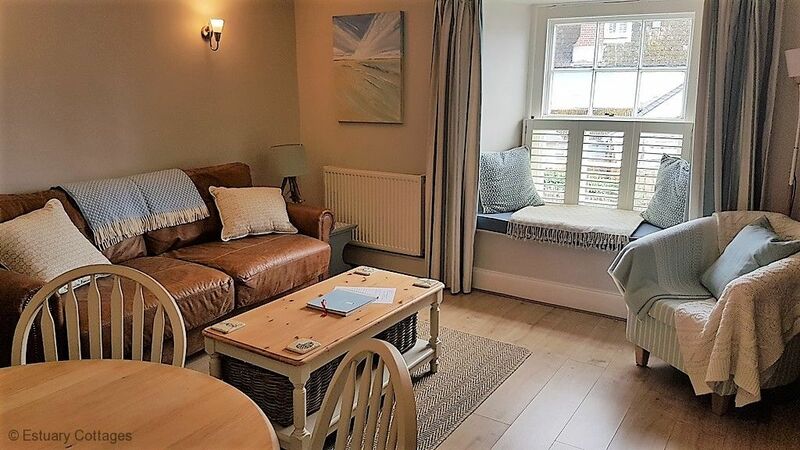 Single level, ground floor accommodation, immediate off-road parking, just a short walk down to the water's edge, with all the shops, pubs and restaurants to hand, it is ideal. There is even a circular bus service from opposite the church that drops you back at your front door. 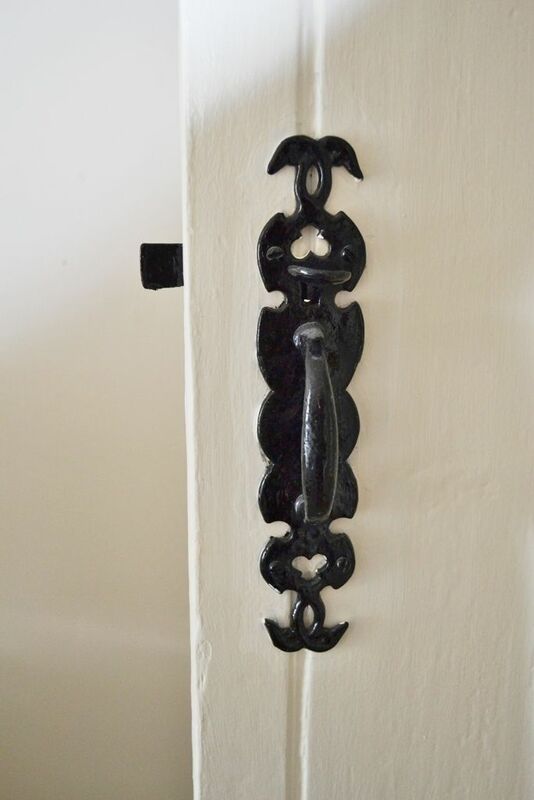 We have already booked the cottage for a seven day stay in May. 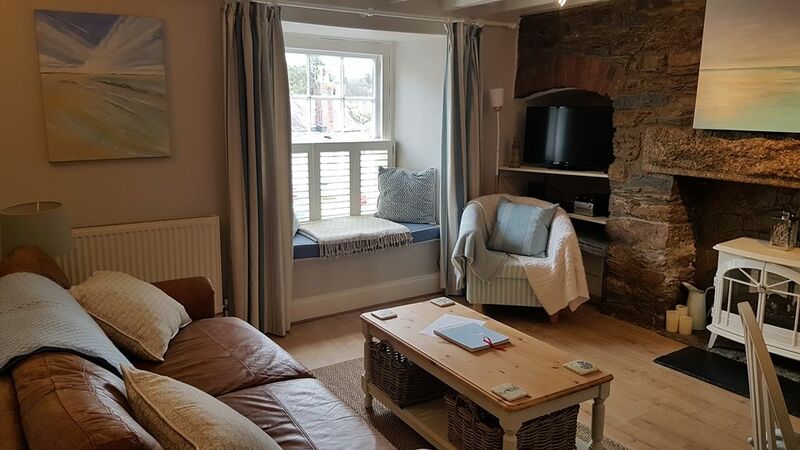 Fantastic little place to relax .fully equipped , nicely decorated ,really enjoyed our stay there and we are aiming to come back later in the year .Highly recommended. 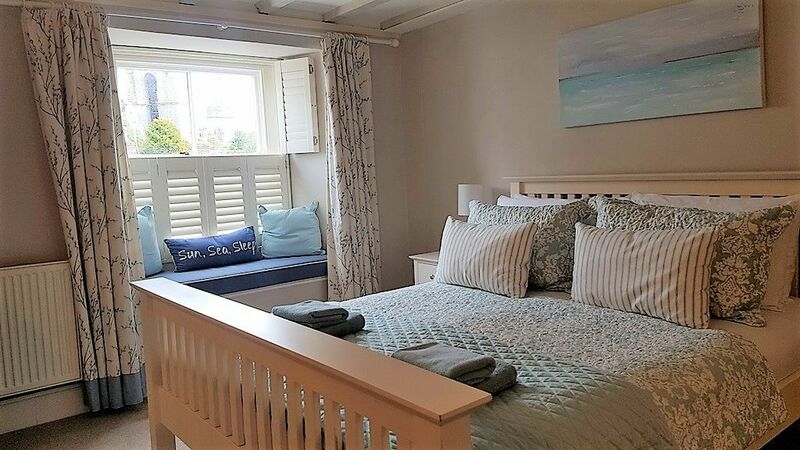 Just spent a wonderful weekend here: Comfortable, stylish, great location, Suzanne is an artist and you can tell from the lovely decor and colour combinations. 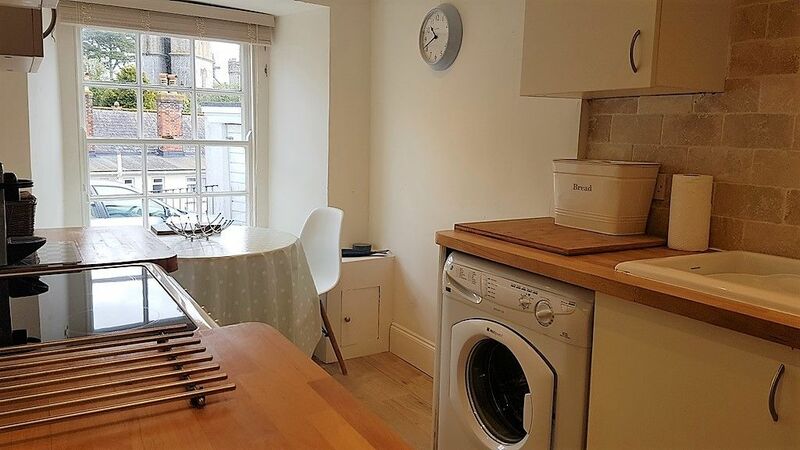 The flat is really well-equipped with every kitchen utensil you could think of, plus beach gear and snuggly throws for when it's chilly. The bed was sumptuious and there are even special cushions on the low doorways to protect the heads of tall people! 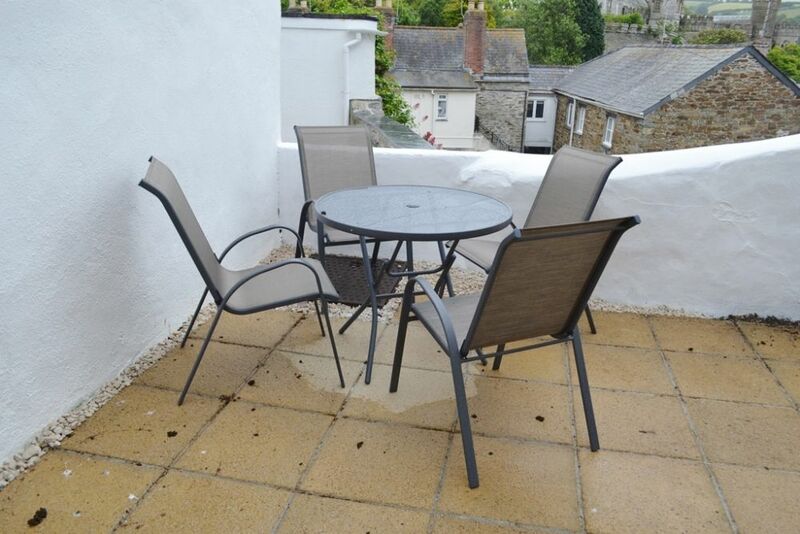 All of Fowey is just a short walk away - down a steep hill, so do take note if you have mobility issues. The town is full of terrific places to eat and shop. It was quiet relative to the high summer season but the allocated parking was still a bonus. 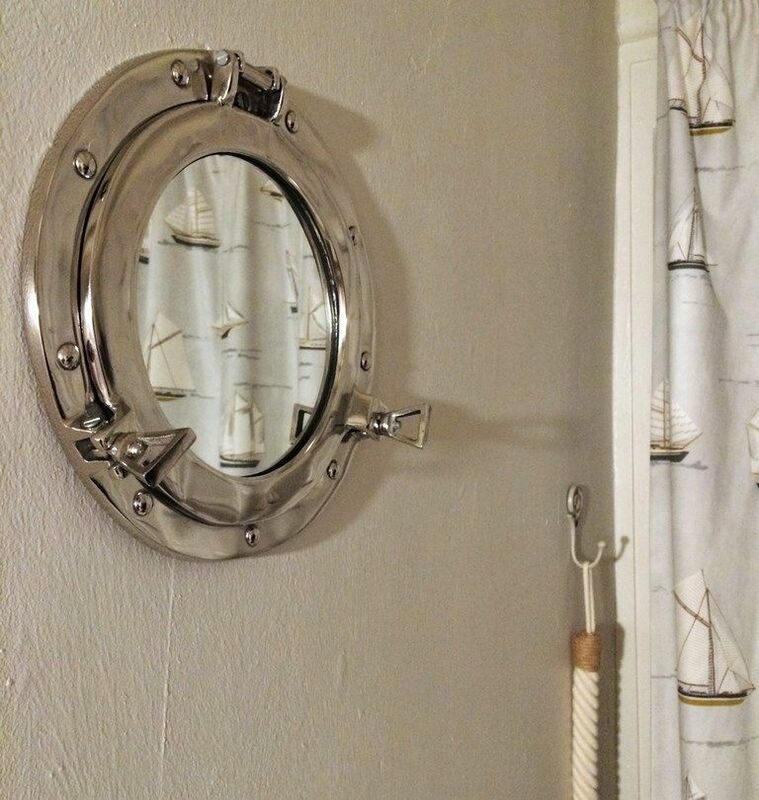 Simply wonderful. 16 - 18 September 2016. 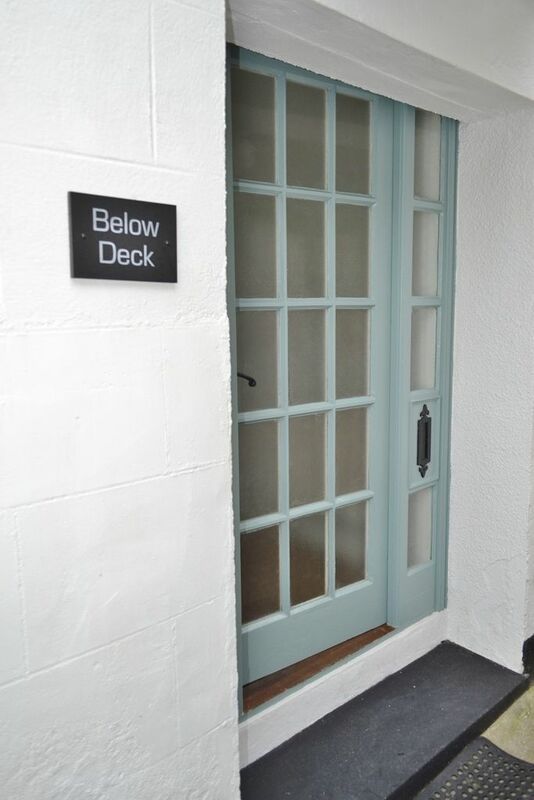 We had a truly lovely time staying at Below Deck in Fowey. 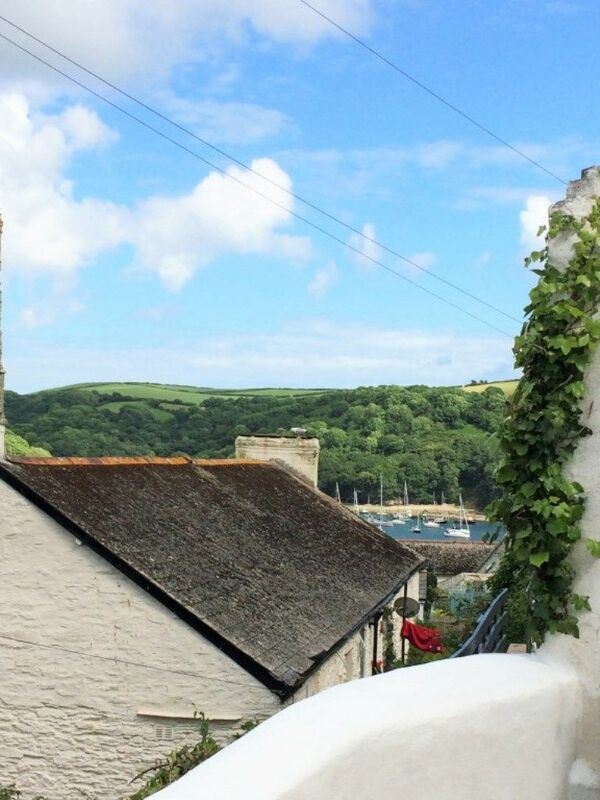 Fowey is a very special place and it was wonderful to be back. 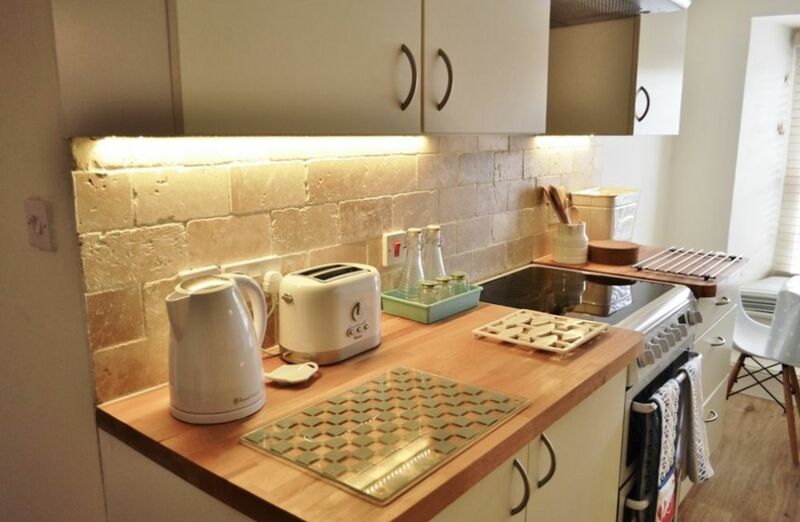 Below Deck is a beautiful flat and has been refurbished to a really high standard. 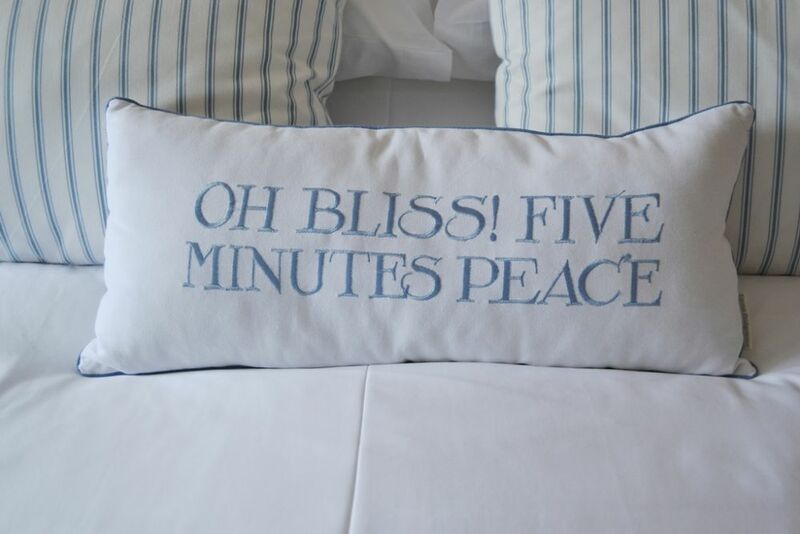 Suzanne and Les have literally thought of everything and it made for an extremely comfortable stay. It really is home from home. 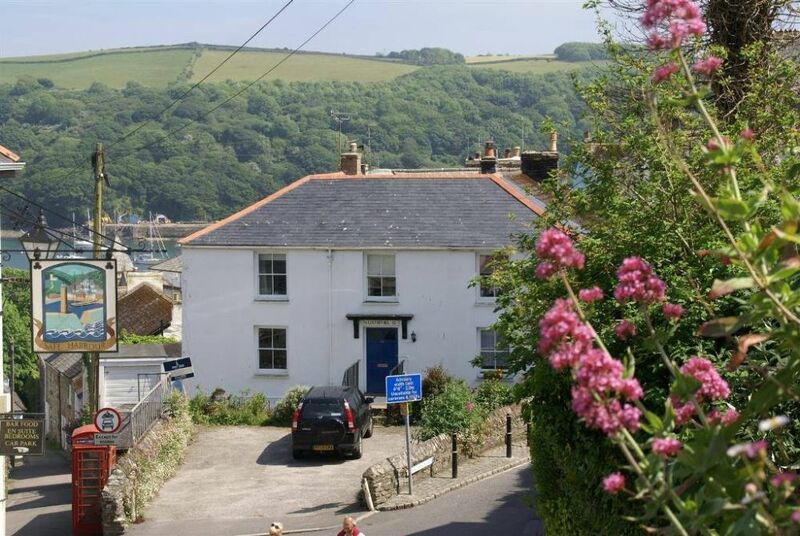 The flat is centrally situated and easy to get to, with it's own parking which is a bonus in Fowey.We will definitely be back. A truly lovely place. 21 - 28 October 2016. Thank you so much for such a wonderful stay, even though I had to deal with a grumpy boyfriend when he hadn't eaten ha ha! It was great though! Loved it! 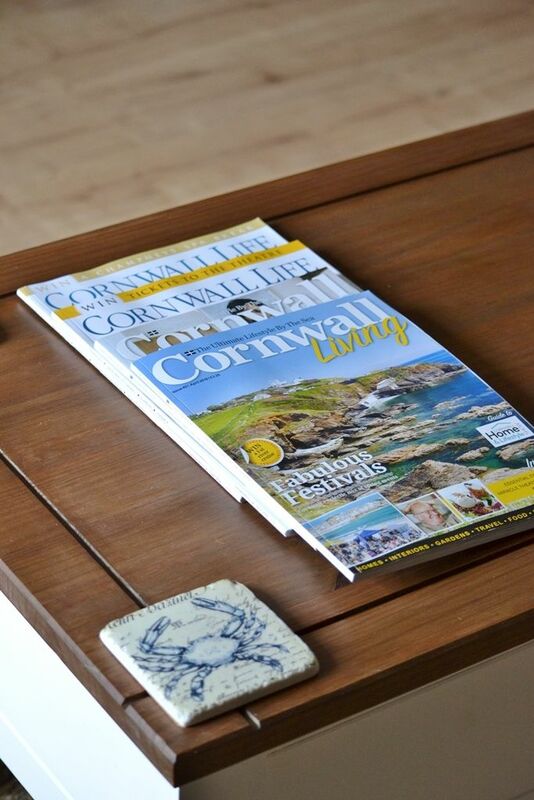 We have loved staying in your beautiful holiday home, so spacious, restful and comfortable with lovely views. 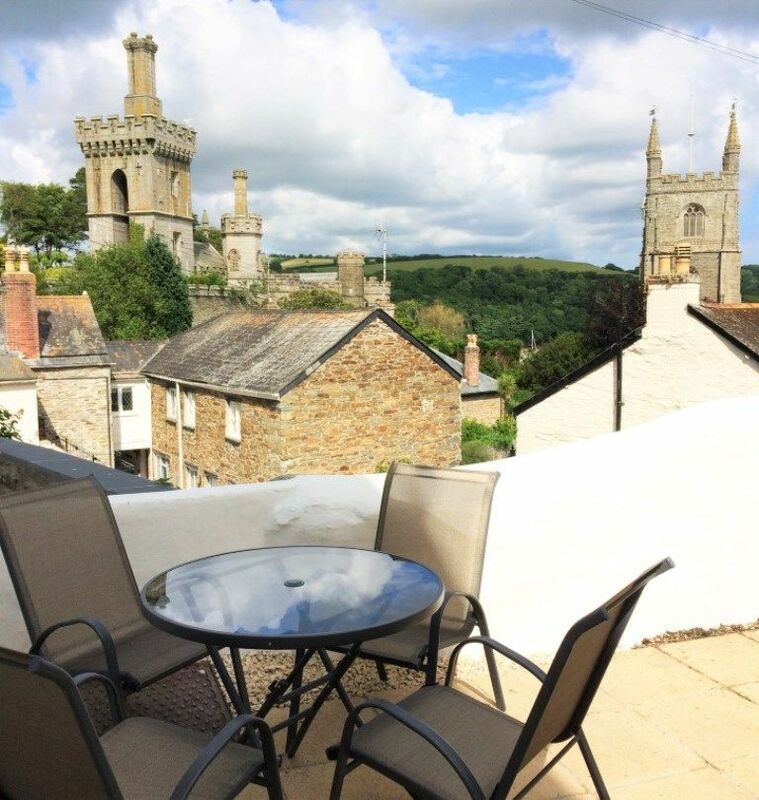 The situation is perfect with the leafy walk past St Fimbarrus Church to the quay and town centre. 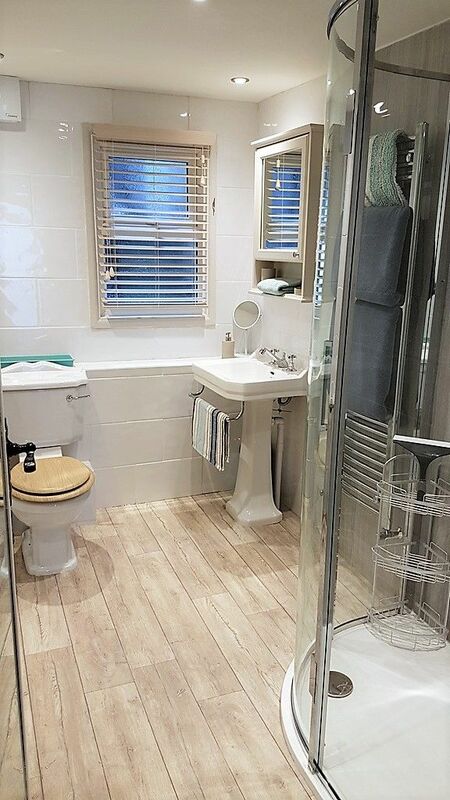 The effort put into decorating and furnishing Below Deck – relaxing colours, cleverly chosen fabrics and accessories – make this a special place to stay. There’s so much attention to detail too – like the Ordnance Survey table mats for planning over breakfast and the luxury of excellent coffee! With a parking space and welcoming pub opposite, it couldn’t be better! We’ll be back. Thank you Suzanne & Les for a very comfortable & relaxing week in Below Deck. 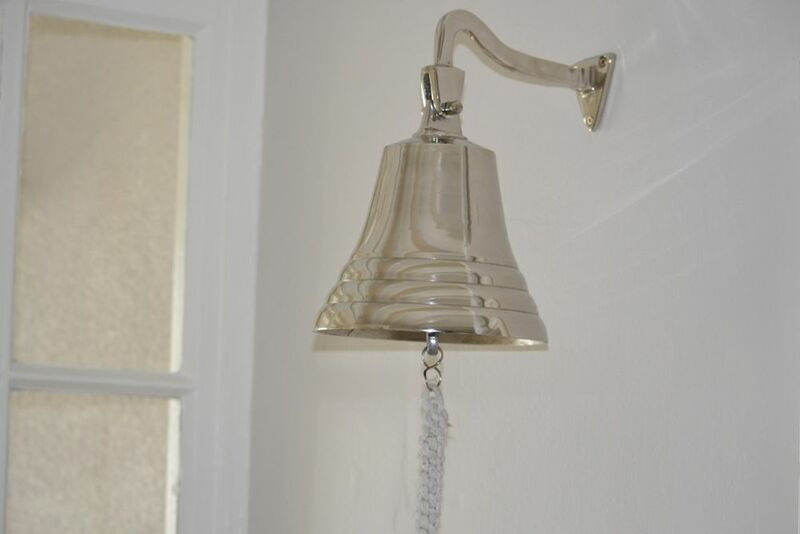 We were most impressed by the beautiful themed decor down to the last detail, also the generous equipping of the apartment providing for all eventualities! The technology was awesome - particularly the room thermostat and IT! 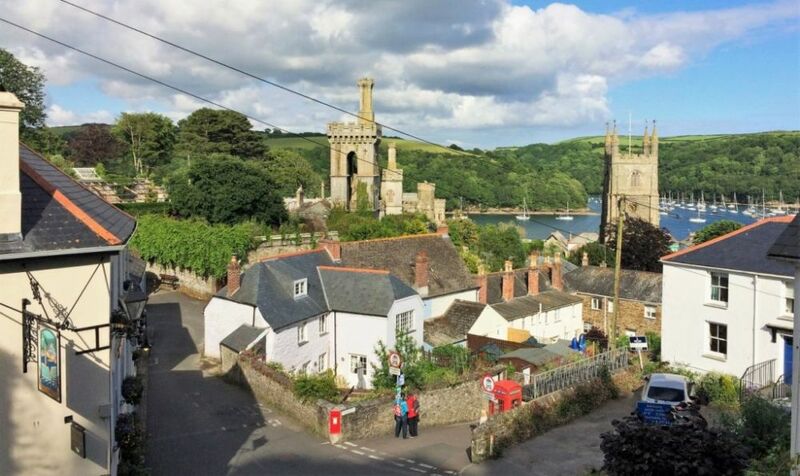 As first timers to Fowey we enjoyed exploring the town and surrounds including: The Esplanade and Readymoney Cove, the Hall Walk. The shopping was also very good! Many thanks. We stayed at Below Deck in 2017 for our 1st wedding anniversary and in 2019 we returned with our 6 month old. The property is perfect. Very warming, a home away from home. Some lobely touches of head protection on the lower door ways, lots of blankets, netflix on the TV and the coffee machine make it extra special.